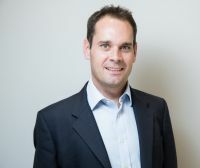 Tim Alderslade joined what is now Airlines UK, the trade body for UK-registered airlines, as chief executive in May 2016. Prior to this, he spent three and a half years at the Airport Operators Association (AOA), most recently as public affairs and PR director. Before joining AOA, he worked for two MPs and for the integrated public affairs and PR consultancy Insight Consulting Group. Transport secretary Chris Grayling says “putting the passenger at the heart of what we do” will be central to the government’s new Aviation Strategy. That is music to the ears of the airline community, since delivering for the consumer is also at the centre of any airline business. UK airlines see a series of ways in which the government can deliver on this promise and they are committed to playing their part, not only by continuing to provide exceptional standards of customer choice while reducing the cost of travel, but also by providing care and compensation in the rare event of disruption. Grayling says aviation has never had more of a positive impact on our economy than it does today, that we have been instrumental in the UK’s economic recovery since 2010, that when we thrive Britain thrives and that the Aviation Strategy will have a clear objective to meet rising passenger and freight demand. That is good to know and we are also delighted by his declaration that the case for expanding Heathrow is as strong as ever, his assurance that plans for a new runway are on track and his promise to lay a final airports National Policy Statement before Parliament during the opening half of next year. All that is good news, but our welcome for it comes with an often repeated but nevertheless critical condition. Heathrow is the most expensive airport in the world and passenger charges have trebled in the past decade. Our members back Heathrow expansion, but only on the strict condition that costs are kept under control – which is why we support Grayling’s ambition to keep Heathrow landing charges at current levels. We need the right solution at the right price at the right time to meet the needs of customers and, over time as the number of movements increase, the aim should be for charges to come down. We support the goal of increasing the number of UK airports served by Heathrow, but it is airlines that make route decisions based on commercial viability and market conditions and these depend as much as anything on keeping costs down. A third runway at Heathrow will provide opportunities for new and more frequent domestic connections to our largest hub and so help passengers to take advantage of onward connections to long-haul destinations – but it all comes back to costs, which is why our members will continue to work with Heathrow to bring the costs of the scheme down. A new runway delivered at a fair price will be vital for UK aviation and for passengers, as will action to make the best use of existing airport capacity, for example by improving surface access, but the government also needs to step up to the plate by supporting airspace modernisation. Our airlines need that to operate more direct routes, produce less carbon and reduce noise. Without action, by 2030 total delays due to poor use of airspace capacity could be 70 times more than in 2015, which would be bad news for passengers, as well as damaging the economy and the environment. Another recent issue affecting the consumer was the unfortunate collapse of Monarch. The Department for Transport, the Civil Aviation Authority and the many airlines that assisted can take pride in the professional and diligent way in which they repatriated millions of stranded Monarch passengers back to the UK. That done, we can now take a careful look at how insolvency is managed in the future. It is important that we get this right, which means waiting for the report from the Monarch auditors and giving the Commons Transport Select Committee as well as the Aviation Strategy a proper opportunity to examine the issues. Finally, there is the issue of airlines’ obligations to deliver for the consumer in the rare event of disruption. The great majority of the 1.5m services that our members operate annually do so without incident. However, air travel is a complex operation and there will sometimes be cancellations or delays. Our members do have a legal obligation to provide care and pay compensation, and it is a responsibility they take very seriously, as successive CAA compliance reports have shown. They do so not just to comply with their legal obligations, but also because these consumers are their valued customers, whose repeat business is critical to their future. At Airlines UK, we will continue to work closely with the government and the CAA to deliver for our customers and we look forward to responding positively early next year when the government will consult on how UK aviation can do an even better job for consumers up to 2050 and beyond.